I have been lucky and privileged to climb Kilimanjaro 19 times. Our recent climb had 11 climbers and all members made it to the summit. We have have had 100% SUCCESS on our last 7 climbs. This might sound great and make Kilimanjaro seem like an easy climb! It is not easy and under estimated by so many people. We achieve the highest rates of success because we have the right acclimatization, good pacing, food and quality service before each climb and helping people get the best Training advice prior to the Kilimanjaro climb. CLICK HERE for our up coming Kilimanjaro climbs. CLICK HERE for our summit night video on Kilimanjaro. You have to make the jump from 4,650m/ 15,256ft to 5,895m/ 19,341ft a jump of 1,245m/ 4,085ft in one go into the lower realm of the death zone. This is challenging, dangerous and needs excellent physical preparation, which requires specific training and lots of it. We can help you prepare and understand the physical preparation needed to make the summit. Climbing Kilimanjaro 19 times as shown me how dangerous the summit night can be. Stepping above 5,500m/ 18,000ft brings you above the high altitude zone and into extreme altitude. Trekking in the high altitude zone of 3,500m/ 11,500ft to 5,500m/ 18,000ft zone is dangerous and challenging. 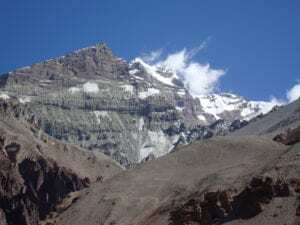 Moving above 5,500m/ 18,000ft needs to be treated with respect and the right acclimatization. We had tired climbers, stomach aches, extremely tired legs and some climbers needed assistance on the way down. Climbing Kilimanjaro requires excellent conditioning and lots of prior training. We want to impart our knowledge helping you achieve Kilimanjaro so before you decide to climb Kilimanjaro pick the right acclimatization route and contact us for advice, training information and start building a training program that will work for you. Physical Conditioning. Despite being a mountain which is accessible to most people and not just experienced mountaineers, Mount Kilimanjaro should not be underestimated. Hiking to its summit is a serious challenge which requires significant preparation. With forward planning, the right acclimatization schedule and the right attitude to training, however, you stand the best possible chance of successfully and safely getting to the top of Kilimanjaro and back down again – and enjoying one of the most rewarding and spectacular experiences in the world. This information is designed to help you in your preparation. Ian has climbed Kilimanjaro 19 times to date and available to help you prepare for your climb. We want to make sure you have the right gear. Watch our Kilimanjaro packing video. If you need further information contact us and we can help with you training, preparation and all aspects of the trip. Training and Fitness. Climbing Mount Kilimanjaro is a physical challenge which is well within the reach of most people who enjoy a reasonable standard of fitness. However, training specifically for the climb is essential to prepare you for the particular pitfalls posed by mountain walking. You are strongly advised to seek medical advice before deciding to arrange your climb and before starting a training program, particularly if you have any concerns about your health. It is sensible to start training as early as possible before your scheduled climb. Conventional exercise routines which build strength, fitness and stamina, such as aerobics and light weight-training can be beneficial, particularly if your fitness level is less than desirable. But the best physical preparation is activity which simulates, as far as possible, the demands on your body which will be happening during your ascent and descent of Kilimanjaro.